All about Jharkhand Teacher Eligibility Test (JAC TET) ✓ Notification ✓ Application Form ✓ Syllabus ✓ Admit Card ✓ Eligibility ✓ Question Papers ✓ Sample Papers ✓ Answer Key ✓ Exam Date ✓ Exam Pattern ✓ Cut-off Marks ✓ Preparation Tips for the post Primary Teacher (from 1st class to 5th class) and Upper Primary Teacher (from 6th Class to 8th Class) examination to be held in 2019. Candidates interested in appearing for the exam should apply only through online process from official website of Jharkhand TET i.e. www.jac.nic.in. The Government has Decided to Conduct The Jharkhand Teachers Eligibility Test – JAC TET 2019 Exam Once Again in the Current year to help more Number of Candidates to Apply for JAC TET 2019 The State Government has announced the TET Jharkhand 2019 Latest Schedule now. ✓ Graduation and passed or appearing in final year of two year Diploma in Elementary Education (by whatever name known). ✓ Graduation with at least 45% marks and passed or appearing in 1-year B.Ed. (Special Education)*. Registration fees is Rs. 500/- for general and Rs.250/- for reserved category. ✓ diversity of language ,caste,gender, community, religion etc. ✓ Formulating appropriate questions for assessing readiness levels of learners; for enhancing learning and critical thinking in the classroom and for assessing learner achievement. ✓ Basic processes of teaching and learning; children's strategies of learning; learning as a social activity; social context of learning. ✓ Alternative conceptions of learning in children; understanding children's 'errors' as significant steps in the learning process. The test items on Child Development and Pedagogy will focus on educational psychology of teaching and learning relevant to the age group. They will focus on understanding the characteristics and needs of diverse learners, interaction with learners and the attributes and qualities of a good facilitator of learning. ✓ Individual differences among learners, understanding differences based on diversity of language, caste, gender, community, religion etc. Candidates will be able to download their Admit Card from two week of examination. 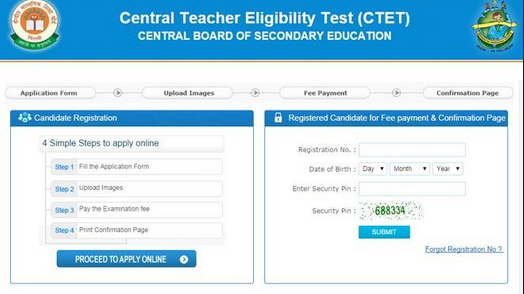 Candidates are requested to visit the same website to download their Admit Card For Jharkhand Teacher Eligibility Test (JAC TET) Exam 2019. 1:- Log on to the official website www.jac.nic.in. STEP#01: Log on to official website of Jharkhand TET. to apply online for JAC TET 2019. STEP#04: Fill and edit Jharkhand TET 2019 online application form.